The newest volume in the acclaimed Clark Studies in the Visual Arts series, this collection of essays explores the intrinsic connection between art and the environment. The romance and rejection of "nature" have always occupied places at the heart of art making and art history, and the resulting practices and discourses have had significant impact on public imagination and perception of ecological crises. 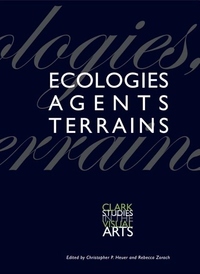 The essays in this volume discuss many topics at the intersection of art and ecology, including literal convergences of art and earth, such as 1960s Land Art; social ecologies, like legislative art; rhetorical discourses of environmental interconnectedness or estrangement, such as large-scale agriculture; and performative landscape/body situations, including site-based ceremonies. Ultimately, the essays here provoke us to rethink art and ecology in material-practical terms, looking for alternatives to tropes of "landscape" and "place."